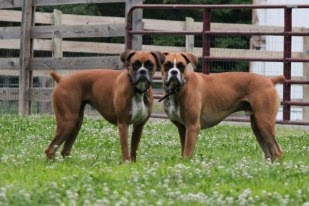 My Dog Leads Two Lives: Authors Banning Together - How Cool Is That! Authors Banning Together - How Cool Is That! Ma is trying to help some of my friends again. I'll let her tell you about it. Thank you Omar. As an author and poet, I'm so glad to be a part of this true venture of kindness with other authors who have the same intentions as me. What are our intentions? To do everything within our meager powers, to help as many animals find loving homes and kindness, as possible. The finished product is all we hoped it would be. 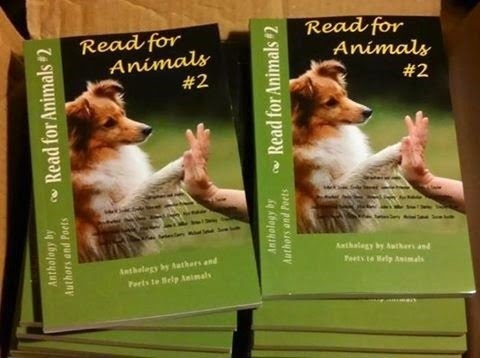 "Read for Animals #2" is a compilation of stories and poems with pictures and phrases that will delight and entertain. Now available in e-book and paperback, we hope you will consider purchasing a copy. Purchases can be made through GoldenBoxBooks Publishing, Amazon.com, Barnes & Noble, etc., keeping in mind that all proceeds will be donated to Rescue Centers for Animals in the US and UK. There is nothing I like better than feeling that I am helping to change the lives of unfortunate animals, because as we all know, they can't help themselves. I get carried away at times, writing about how I wish things could be. 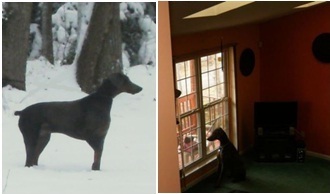 I live my fantasy through my Doberman, Omar Blue, his fictitious pack and the town they have started, K-9 Town, USA. 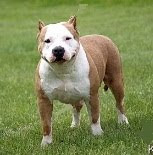 I tell one of these stories in "Read for Animals #2," "Omar Blue and the K-9 Underground." 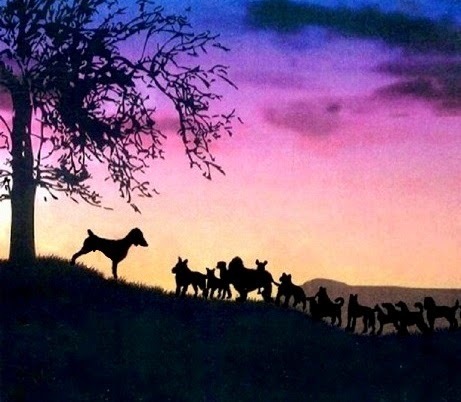 In this short story, Omar and his pack have gone beyond rescue. They are offering their way of life, love and happiness to all the canines they rescue and those that can find a way to contact or get to them. I hope you will get to read my story and the other contributions to this wonderful undertaking. Someone asked me how I got started with my writings, so further to the aforementioned, and since I was enjoying this immensely, I continued. In my early years I never thought about being an author. I'd write poetry and stories, but only for my own reading and enjoyment. Until, my older sister Beatrice got very ill. Throat cancer. 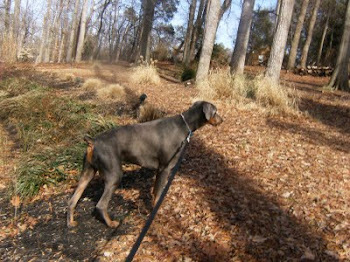 One Sunday afternoon while visiting (she was staying with another sister who is retired,) I read a short story to her that I had written about my dog Omar Blue. It was in verse and she liked it very much. I started adding to the story and every Sunday after that my other two sisters, me and my nieces would get together and I would read what I had added on during the week. My sister Bea loved it, the "book" (as it turned into) and the attention, of course. I'm very happy to say that I was able to finish it and did my best reading, before she passed away, because I dedicated the last chapter to her. The character was Bee Bee the beautiful Afghan Hound that became Omar Blue's love interest. I gave Bee Bee my sister's personality and it was obvious. Bea smiled as I read. She was very weak by then but there was no doubt that she appreciated this and the fact that we were with her, showing our love for her. 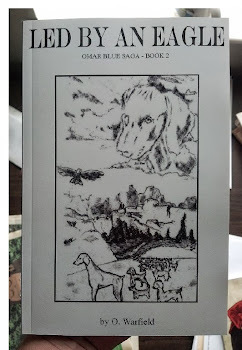 The name of my first novelette was, "Omar Blue and K-9 Town, USA." 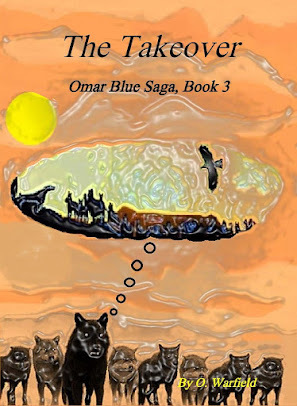 I've since written another in what is now my Omar Blue Saga, "Led By An Eagle," and I am working on my first novel that will not be in verse, "The Takeover." 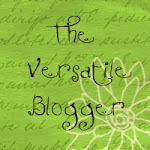 I have a very unique blog, as I mentioned above with quite a few visitors.